Coughing can really ruin a whole night's sleep, even for the non-coughing members of the family. I remember when my daughter suffered from persistent cough when we lived in moist and moldy house in Wales. The cough didn't stop until I added essential oils to her treatment. 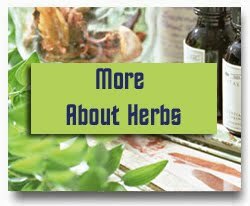 I find essential oils extremely helpful in treating respiratory disorders, many times I used them in combination with herbal products. It is very easy and convenient to use essential oils for colds, coughs, bronchitis, sinus problems, or other respiratory problems. Coughs can be dry or moist, so when you choose the essential oils you need to consider the nature of the cough. I use essential oils with expectorant and mucolytic properties for moist coughs, and when the cough is dry I use oils with antispasmodic and anti-tussive properties. Anti-tussive and antispasmodic essential oils are especially useful at night if the cough prevents sleep. Steam inhalations, chest rubs, and baths are just some ways that I apply the oils. In my daughter's case I added drops of cypress oil under her pillow at night. Mix the essential oils with the vegetable oil. Massage the upper chest area and lower neck, both front and back. Inhale the essences from the hands before washing them. I use this blend a couple of times a day. Mix and use the same way as the previous rub for moist coughs. Pour the hot water into the bowl. Add essential oils. Hold the head about 8 inches over the bowl with a towel over the head to form a tent. Inhale slowly and deeply while keeping the eyes closed. Steam for about 5-10 minutes, two to three times a day. Cover the upper chest and neck with a towel or blanket immediately following the treatment. Cypress, juniper, frankincense, lavender, myrrh, peppermint, and sandalwood are other oils that historically have been used for coughs. These are just some suggestions on what to do using essential oils, if you suffer from persistent cough for a longer time you should see a physician. 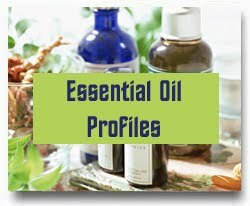 The posts Essential Oils and Bronchitis, Essential Oils and the Common Cold, Essential Oils for The Respiratory and Immune System will give you more information about using essential oils for respiratory concerns. Simple Home Remedies that have historically been used for coughs. 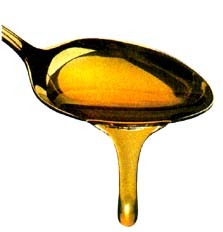 You can make a simple cough syrup from warm pineapple juice and two teaspoons of honey. The bromelain in the pineapple is activated by the honey. You can also make a cough syrup by mixing the juice of one lemon with two tablespoons glycerine, and then add 12 teaspoons honey to the mixture and stir. Stir before each use. I always use raw honey. According to the Ayureda tradition you can take equal part teaspoons of lemon and honey. If you have a cough with mucus you can add 1/2 teaspoon ginger, a pinch of clove, and a pinch of cinnamon to one cup of water. You can also gargle by adding a pinch of salt and two pinches of turmeric to a glass of water. Another remedy which is easy to make at home, is to slice an onion into a deep bowl and cover with honey and let it sit over night. The next day you strain the mixture and this will make a simple elixir. Another tasty remedy is hot pear juice with a cinnamon stick. You can also add cardamon and cumin to juices. This information is for educational purposes only and is not meant to prescribe. 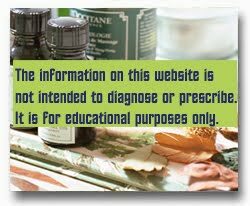 Essential oils are safe to use as long as contraindications have been researched prior to use. As always, consult with your health care practitioner if you are pregnant, breastfeeding, or suffer from any medical conditions. 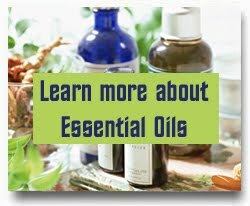 Some oils are contraindicated in certain conditions, so check out this essential oil safety page to make sure the oils are safe for you. Are You Diffusing the Essential Oils Correctly? I make my own blog design and pictures and I don't want you to take my pictures without my permission. I don't mind if you use some of my pictures, but only if you ask me first and give me credit.